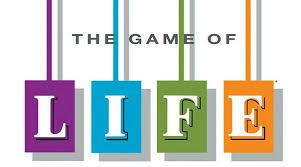 Home › Christianity › How are you playing the ‘Game of Life’? There are so many ‘reality TV shows’ these days, that it sometimes becomes hard to find anything else to watch. You can now days watch people do everything from racing around the world, spending weeks on a remote Island with strangers, renovating houses or cooking in a kitchen for hours. (Just to name a few) All this in the hope for quick fame and money. So the following concept crossed my mind as I went for a run today. What if LIFE was one big reality show… How would you live your life if you knew that it was all part of a ‘Reality Game’ and the prize at the end was either a ticket into Heaven or Hell? How would I have to change the way I live (play the game) and what would need to change? What prize am I heading for? What would ‘home viewers’ think about my ‘brand/image’? Would they vote for me? What is my strategy/game plan to WIN? If you really think about it, the home viewer here is GOD. Furthermore, unlike some home viewers who would vote contenders off, God actually wants us all to WIN. However, he will only select those that truly believe. Even better, He has the ability to interact with the Game to help keep us on track. (Almost like phoning a friend, only you have unlimited calls left.) It is the only Game where you are guaranteed to WIN, if you stick to the Game Plan. Communication: Pray each day, sometimes multiple times in a day. God enjoys your company and loves to chat and give feedback on how you are doing. He is the best coach you can have, as He will inspire you when you need it most, and has your best interest in mind. Game Plan: Carry, read and understand the Bible. This is your source of inspiration, truth and guidance. Like any game, you will have ups and downs. You will come across people trying to distract and putt you off your game. You will find it hard to stay motivated, especially when it feels like you are losing. Stick to the Game Plan and you can enjoy life by embracing the challenges that comes with it, knowing a WIN is guaranteed. ‹ ‘My 168’… what does yours look like?